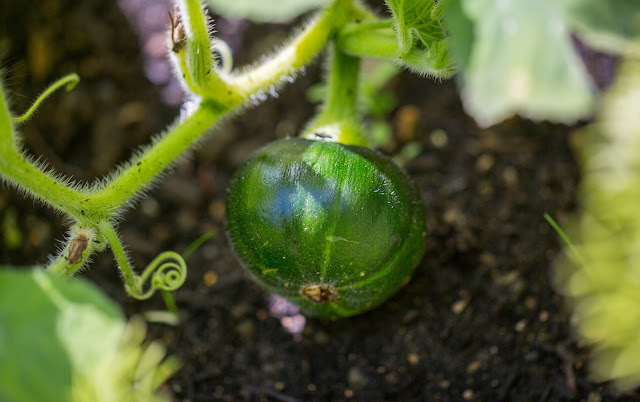 Cooking and growing, eating and drinking. The 2018 season feels pretty much over now. There are still crops to harvest, but everything is moving towards what 2019 will be about. Already the first crops for next summer are in - elephant garlic planted where the courgettes had been - although some things that were planted a while ago will crop in early spring, like cavolo nero. Above: various brassicas sown in spring and planted in summer. These are the few survivors fom hundreds of seeds - a lot were lost to a lack of planting space, many more to pest attacks. As you might gather from the last entry's harvest totals, a lot has been picked this month, and I may well beat my previous best. The greenhouse was stripped, all green tomatoes harvested and brought indoors, well over 12kg. And lo - most of them have ripened. Over about two weeks, I removed the ripest ones and processed them, mostly into sauce, keeping the rest together in the hope the riper ones would bring the unripe along with them. Also some bananas were kept with them, as the ethylene they release induces ripening. Whatever, it worked. Not the best flavour raw, but once cooked they had a sweetness and tomato aroma that was satisfactory, and the sauces were fine (I tend to fry onions and garlic in plenty of olive oil, then add roughly chopped tomatoes and herbs - say, fresh thyme and dried oregano - with a little salt, pepper, sugar, and balsamic vinegar, cook gently for a while in a pan, slow cooker, or in the oven, then purée, sieve, and simmer until reduced). Above: all these tomatoes were green when I picked them. 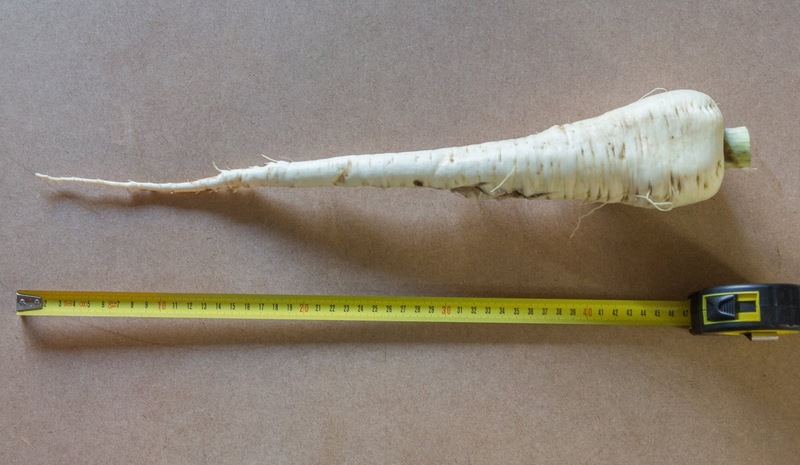 Below: a satisfactory parsnip! I lifted some parsnips, because I just couldn't wait, and their leaves were flopping everywhere. They were big! The largest were over 40cm long, and the thickness was good too. Delicious made into a simple soup with shallots and stock. The sweetcorn never swelled, but the cobs were otherwise okay and I was able to use the tiny kernels in chowder. The winter squash outdoors didn't grow any more and started to rot, so I pulled out the plants and put in some dwarf kale. Courgettes stopped fruiting weeks ago so were likewise pulled out. The giant Greek beans did nothing, and early frosts damaged the runner beans; although they have continued to grow right to the top of the frame I put in to support them - maybe 7 feet tall - but flowering has been sparse and I have seen no pods. Time to pull them out and prepare the bed for planting onions. In the polytunnel I had sown dwarf runner beans, and they are flowering well, but it's probably too cold for a crop now. The sweetcorn under cover has produced a lot of baby cobs but no pollination has occurred. Carrots look lush but are growing slowly. I have thinned them and will probably put fleece on as the weather gets colder. Into the greenhouse I've started planting celery, oriental greens, and even a few cabbages. I got a small heater, but I'm short of fuel and won't fire it up properly until the weather turns colder. Peppers and chillies have ripened. The first huauzontle was harvested, but it is rather fiddly to process. Autumn raspberries have been abundant and large, but the flavour is insipid. 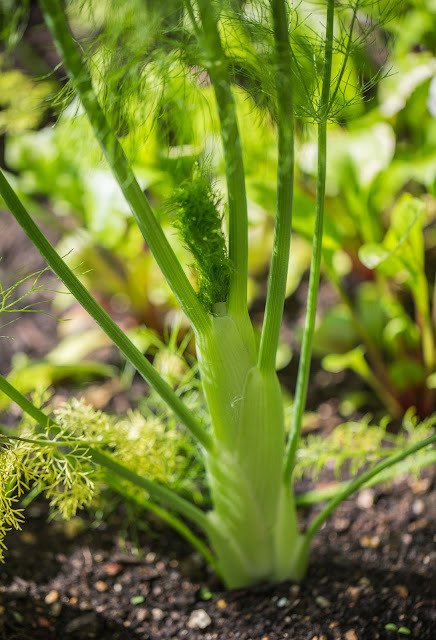 A minor success - the first lot of fennel harvested a few weeks ago was cut close to the ground, but the roots were left in the ground for possible regrowth. And lo - they have! 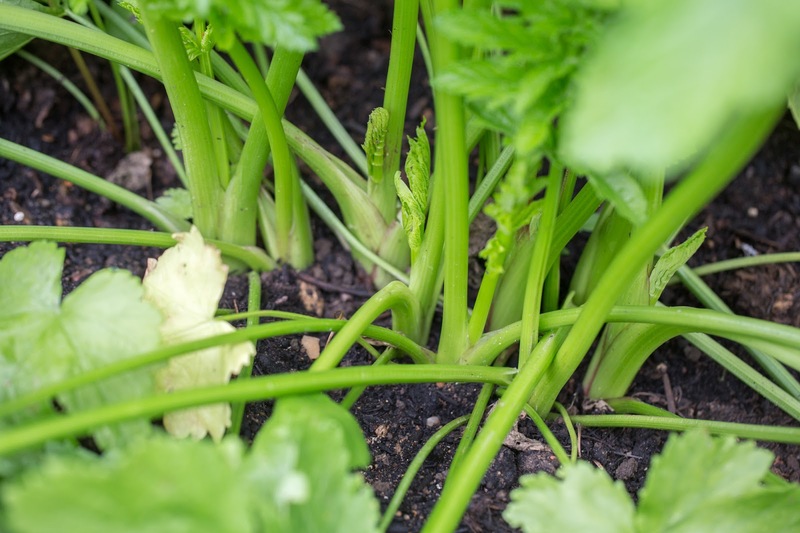 Smaller but healthy shoots that I will pick for a late batch of soup. I cleared a lot of the plants in pots because they had been ravaged by pests. 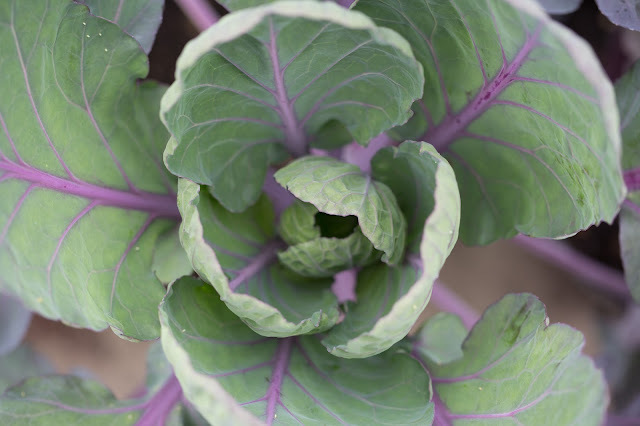 Almost every cabbage sown in summer was destroyed by caterpillars. Too much to hope they would recover, it's much more sensible to compost them and start afresh (I have some sown much later that are still okay). Some failures - above some of the lettuces have bolted, but they're still pretty. I've left them for seed but the flowers are stubborn to open. 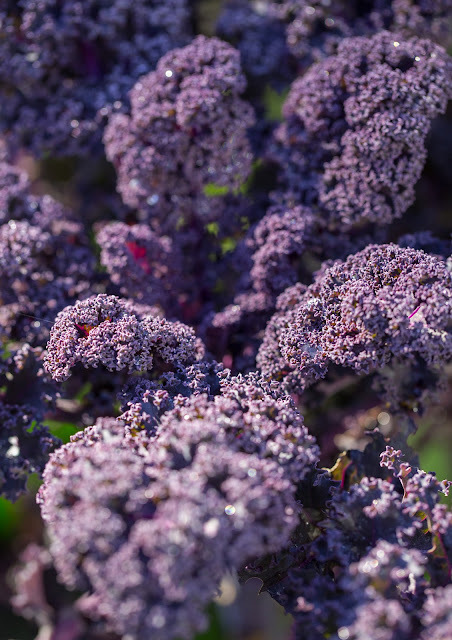 Below: This was a tray of perfect calabrese (broccoli) plants - until the caterpillars got to them. What's next? Planting the rest of the garlic, onions, and shallots, cabbages, spinach and beetroot. Sowing broad beans, peas. A few more things in the greenhouse: maybe letuce, turnips and radishes. Clearing and setting things straight, gathering fallen leaves, and reorganising the compost heap. Text written late Sept-early Oct, though I kept adding harvest totals for a couple of weeks afterwards. Colours of autumn - a harvest of purple kale and aubergines, orange and red tomatoes and chillies, yellow and green courgettes. Autumn is happening, whether I like it or not. The slightly warmer, drier early September conditions didn't last, and since then it's turned cooler, with more rain. Everything is decaying, sometimes with the pleasant smell of fungus, sometimes not. It's so hard to get anything done, especially as I have no waterproof footwear at the moment. Still, a few nudges in the right direction have occurred. I started laying new paths in part of the vegetable garden. Up towards the house I'll use cemented paving, the same as I used for the greenhouse foundations, both because I have slabs left over and because it'll keep a level and be nice and solid. But I don't want to do that for the whole site - too expensive and much too much work - so the far half I decided on bark. It's cheap, easy to obtain locally (or as an add-on to my compost orders), soft underfoot and easily maintained, though not as weed suppressant as slabs. The best part is how fast it is - in an hour of work I got most of the first section done. I need to get some more bags to finish the route to the old compost heaps, and that should be enough for the winter. My first ever watermelon! Only tiny and not fully ripe, but it smelled and tasted right. Another sack of compost was delivered, but I haven't yet moved it from the driveway - a small bone of contention - because the weather has been so rotten. I almost regret getting it, but I had used up all but the dregs of the last lot, and I have (as ever!) hundreds of plants waiting for somewhere to go. With this batch, I can finish off a couple of beds that should provide a home for cabbagey things and onions over winter. I expect I'll need one more bag in the next few months before I take stock as we get back into prime sowing season in February-ish. I've got most of my overwintering alliums, though some haven't been delivered yet. I'm going all out with garlic, shallots, and onions, partly because you can never have too many (and I never have enough), and partly to save time and space next year - by overwintering I should have them harvested a month earlier than a spring planting, and that means more stuff can go in next midsummer. A meaty tomato, deep red after ripening indoors. The outdoor sweetcorn is looking promising now - some tassels starting to brown, and the cobs are swelling. I hope for a couple at least. 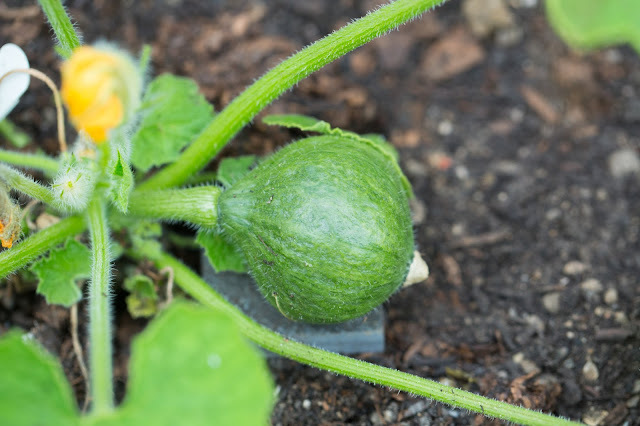 Alas I have no confidence any of the baby winter squash will continue to grow - the largest is just fist-sized, and the weather is not helping them thrive. The polytunnel ones have just sat and sulked for weeks. On the other hand, the huauzontle ('Mexican/Aztec broccoli') is looking great both outside and under cover, the latter having caught up several weeks' growth. Runner beans are tall now, at least six feet, and starting to flower; borlotti are flowering and setting minute pods. The gigantes (large Greek-style shelling beans) I sowed direct outdoors are way behind, but it was chancy putting them in so late (I did an earlier sowing in pots but never planted them, what a surprise). Leeks, cabbages, beetroot are all growing very slowly. Some of the kales are covered in caterpillars again. Carrots are doing what they always seem to - after germinating well, they've hardly grown. What am I doing wrong? Courgettes look healthy but are cropping poorly, once again I'm at a loss. 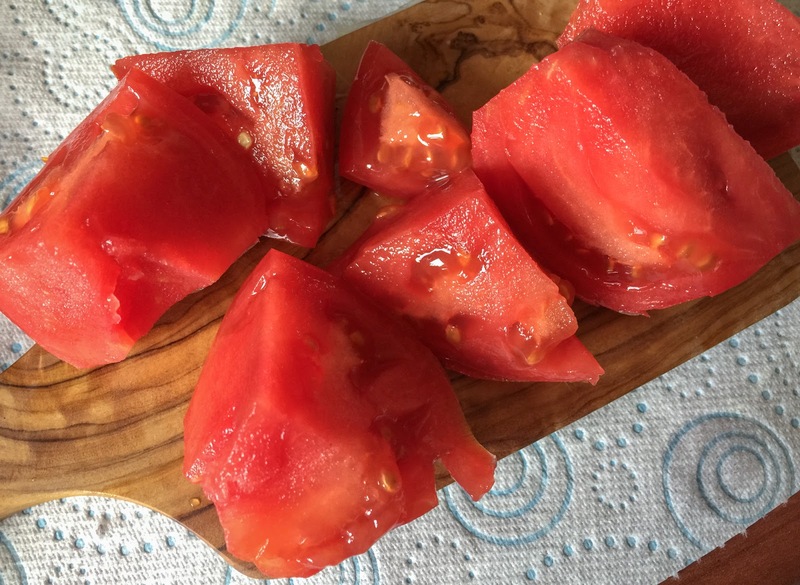 Tomatoes are abundant, some are huge, and the ripe ones taste good when roasted, so that's a moderate success. 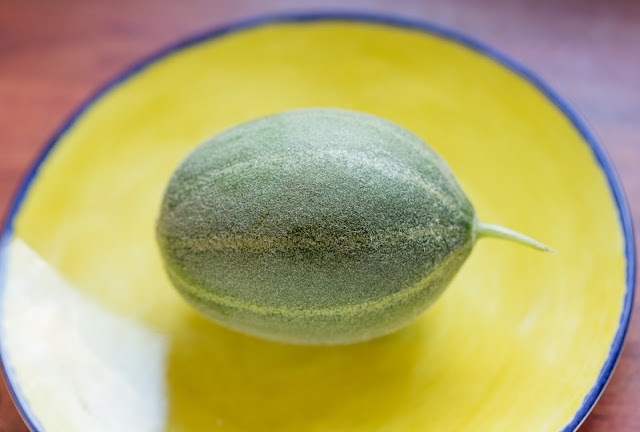 The most exciting find a few weeks ago in the greenhouse was a watermelon. I sowed these in April without telling anyone, and really didn't expect to get a crop. Indeed, they were planted too late, so finding a fruit was a surprise indeed! But the plant has since died, so I picked it. It shows there is potential, so I will try again next year. The other melons never set any fruit, but it's still a dream to grow one. With temperatures hovering below 15ºC most days, and between 5-10ºC at night, I don't expect much more growth. A storm is forecast soon, no doubt the first of many. I am reminded why I hate autumn so much... But I'm consoling myself with spring bulb purchases. *two cobs, neither had large kernels but they had formed so I guess the problem wasn’t with pollination, but the poor weather we had while they developed. **the last courgettes, harvested as plants pulled out. ***my first ever homegrown sweet pepper from seed. So somehow a draft entry was deleted. I have no idea how that could happen, but it's quite upsetting, as I note down my harvests that way, rather than on paper. So precisely what I picked in the last week of August is now lost. I've tried to reconstruct it below from tweets and photographs, but this is once again life slapping me in the face for thinking I could rely on anything. I'll put harvests down somewhere else before tallying them here in future. What did happen? 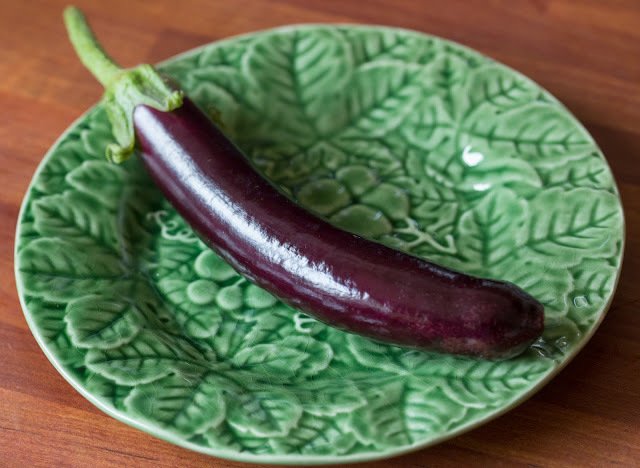 Well I picked my first aubergine. A second one broke off much too small, but there are a few more to come. Sadly, blight has started attacking the plants, so I doubt the dozens more flowers will get a chance - a pity, but I have at least proven to myself I can grow them from seed. Next year I'll start them much earlier, in January or February instead of April, and that will give them a head start. I had sown shallots back in spring, and they were in small pots waiting to be planted out for several months. In the end, I decided there was no chance they would grow any more, so I harvested them as individual bulbs. A small quantity, but again I'd never grown them this way before. I'm hoping to pickle them, if I can locate a recipe similar to the one I used with great success on my homegrown shallots back in 2011 or so. Back in the greenhouse, the tomatoes have plodded along. I tied a couple of bananas in socks and suspended them near to unripe trusses of fruit, in the hope they would encourage ripening, but that remains to be seen. There is a lot of fruit, but only now is some of it starting to take on colour - the suppressed temperatures throughout August really hit them badly. The weather has improved since then somewhat - not so relentlessly cool, grey, and rainy, there's actually been some warm sunshine, but still lots of showers and nights are increasingly chilly. 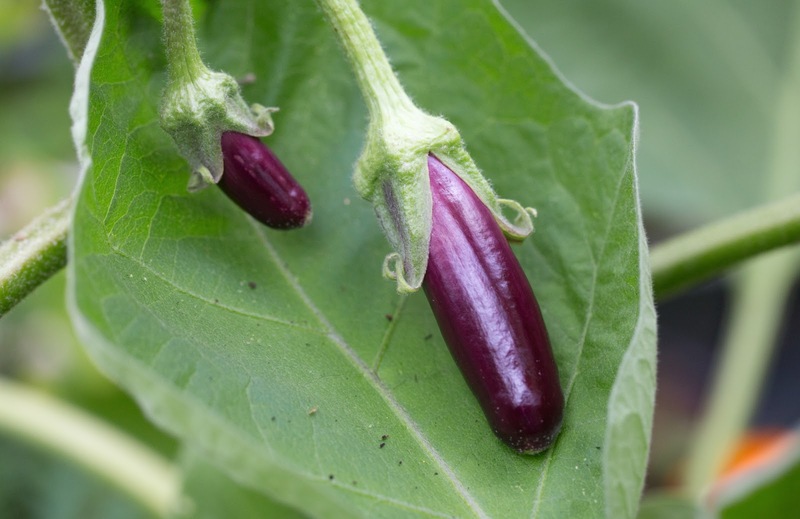 As for the chillies, they remain green, and I haven't always watered them as much as I should - they were behind the aubergines, a little awkward, I'll need to revise my setup next year. 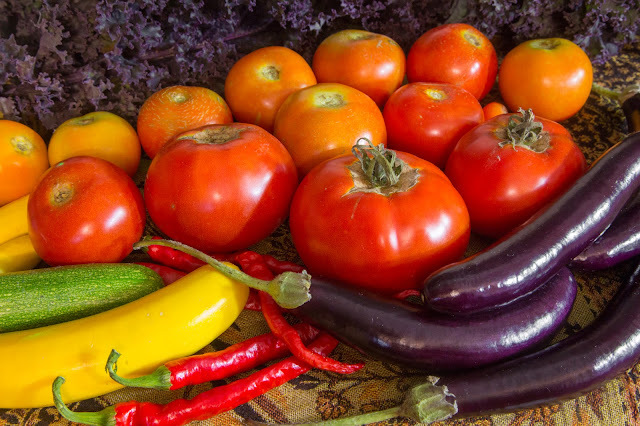 But there are enough, and I don't use masses, so it should be sufficient - and again, I've never grown these from seed to harvest, ditto the peppers. 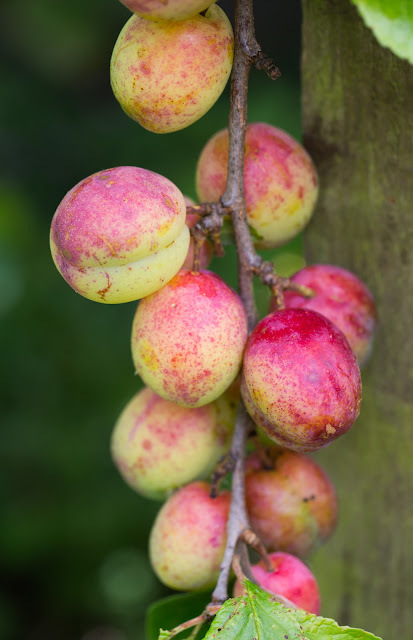 Elsewhere, things are growing but nothing is abundant, apart from plums. We didn't plant the trees, and they usually produce very little fruit, but this time both have, especially the formerly barren tree right by the house. I left the highest ones as they've attracted a range of birds, including what seems to be a family of four blackcaps, but all the same, I have plenty to process into treats. I made plum sauce to a recipe I used again in 2011, and although it lacks the deliciousness of that year (different plums), it should mellow as it matures. 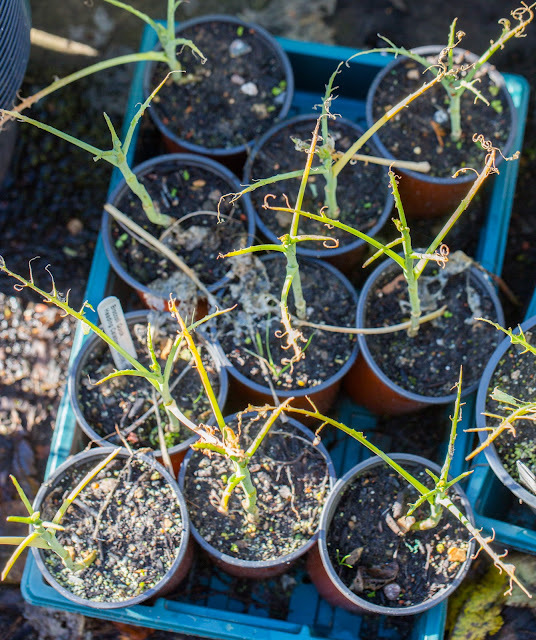 I found a lot of leek plants in pots that I'd forgotten about, so they were squeezed in next to the last of the outdoor fennel, which will be harvested very soon as it's all bolting. I've pricked out pak choi, Chinese cabbage, and celery, all of which are healthy and abundant, but where I'll fit them I have no idea. 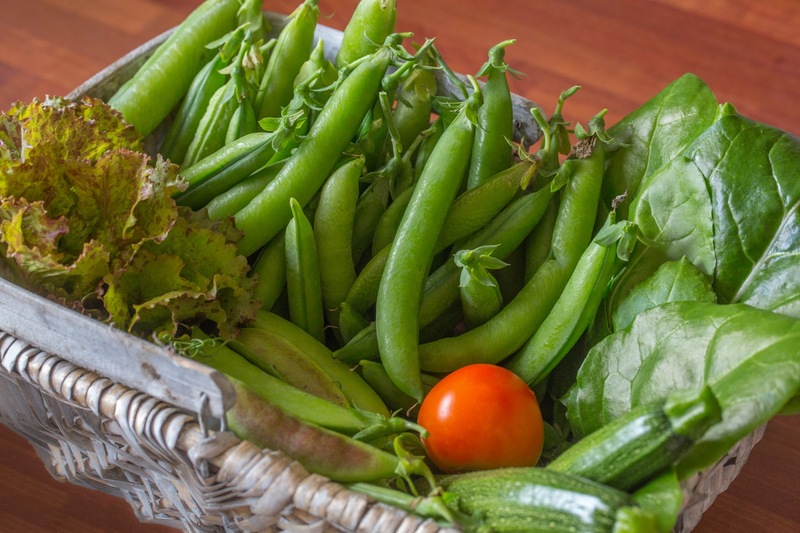 In fact, this is the lesson of all my years gardening - I never prepare the space first, and often crops fail because I haven't managed to get them planted at the optimal time. It will get easier as beds are cleared and maintained, but I'm not there yet. Much is still uncertain. The outdoor sweetcorn is in full bloom, but did the female tassels emerge too late? I keep brushing broken off male flowers onto them to encourage pollination, but I won't raise my hopes. The borlotti beans sown amongst them are just starting to flower. Courgettes are robust but not cropping much. There are two plum trees in the garden, they were here when we moved in. Neiher has produced much for us, but this year the one nearest the house, mainly enjoyed as a bird magnet in winter, has rather a lot of fruit. They're not great quality but still welcome. I finally hit the wall that always looms in the summer, although it came much later this year. The weather's continued mediocrity and a couple of brief but intense illnesses have contributed, but essentially I've lost my drive to be outside for the time being. And in fact there's less to do in some regards - until and unless I can clear a lot more space, the ground is full, and the crops must be left to grow. 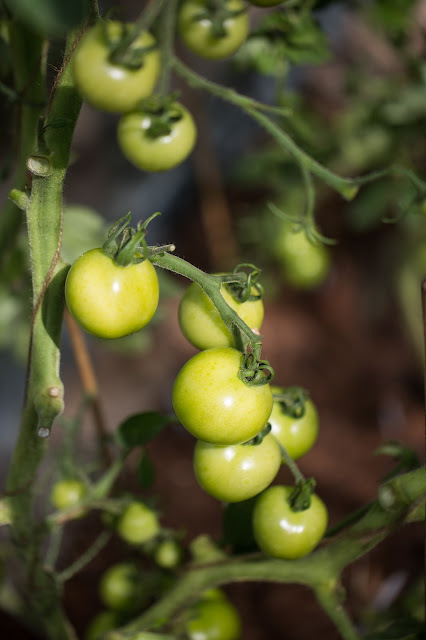 Above and below: there are lots of unripe tomatoes, and now I've heavily pruned the plants, they have a chance to ripen before blight kills them off. A little harvesting, but no glut. Signs of hope maybe - outdoor sweetcorn is flowering, but I have no idea if it'll produce a crop. More courgettes, but only a few. The first fennel, although it had begun to bolt, was delicious. Cabbages starting to heart up. And indeed some of the crops sown in summer, especially brassicas, are looking super healthy, but in want of a home. 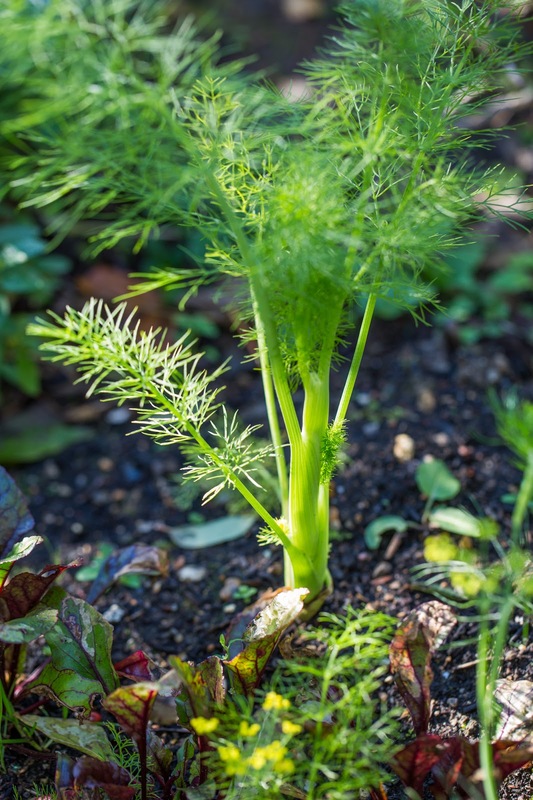 The best fennel plant, starting to heart up, although the lengthening suggests it, like its brethren, will bolt (try to flower) before getting much larger. But there have been signs of the season in a bad way, too - tomato blight has struck. 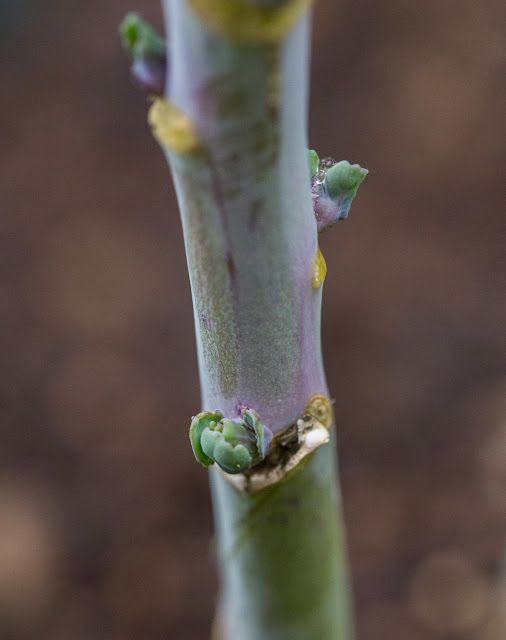 Ironically on the same day I picked the first perfect fruit (all the first ones had cracked, although they were otherwise okay) I noticed a little blight on one of the plants, and then as I got my eye in, I realised there were little patches all over, on many of the others. At this stage, it's not a total disaster, and it spurred me to do something I'd put off, namely trim back the plants and stop them growing any more. It's not really surprising - I've had numerous blight alerts over the past few weeks (I signed up to a service in 2011 that emails you when conditions are ideal for blight to hit), and the greenhouse has been terribly damp - when the temperatures are in the mid teens and there's no sunshine, or it's raining, then opening it up seems a bad idea, but then there's no air flow and the glass is covered in condensation, so I'm not sure how best to deal with this in future. 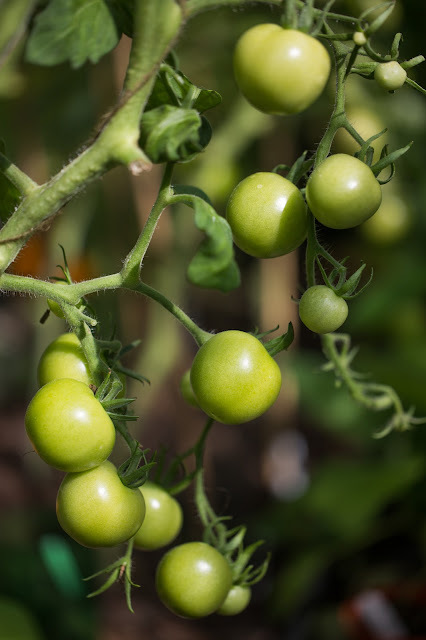 I'll start them earlier though, in February most likely, and as the greenhouse is now in place I can get them planted nice and early, in mid May say, which means they have the best chance to grow and fruit before prime blight season. An outdoor winter squash, I think this is 'Musquée de Provence'. It's a big variety, so may not have chance to reach maturity in the time that's left, but it looks good right now. To offset the gloom, I'm planning how the vegetable garden will look in six months' time. At present, mostly because it's been brought into cultivation a bit at a time, it's lots of small patches, but once these are cleared, I want simplicity. A big swathe of overwintering onions and garlic, cabbages, etc. This will help with protection - it's been very difficult to cover small groups of plants with netting, for instance. And aesthetically too, I think it will be better to be less busy. 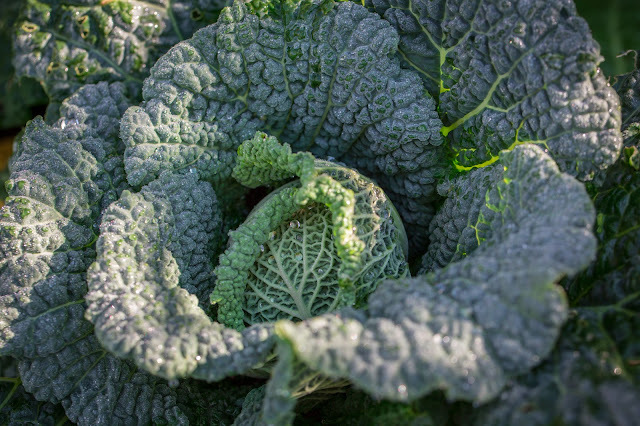 A savoy cabbage, starting to heart up. I got a new garden fork to replace the one that snapped on its first day. I've been thinking about compost again, reading about techniques, and turning the second heap onto the first (both have halved in volume as they have decomposed) is essential to provide room for the next load - I'm at that awkward stage with buckets and bowls of food waste piling up, waiting to be added. Hopefully combining the first two, which are at a similar stage, will reinvigorate things, and get the temperature up (the one disappointment when I turned the first heap a week ago was its coolness). 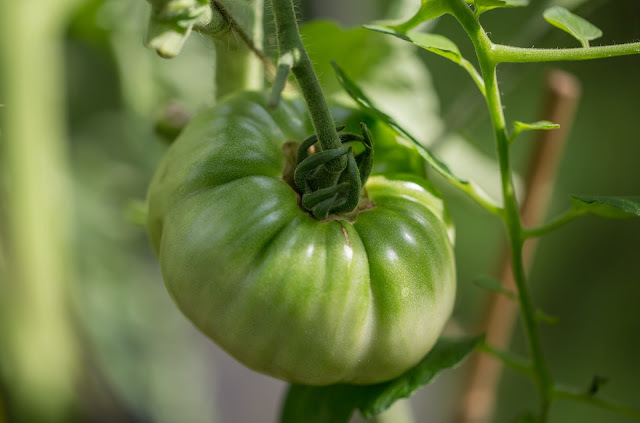 One more tomato, probably the largest, the variety is 'Hillbilly Potato Leaf'. Will it ripen? One success: this will be the first year I grow aubergines from seed successfully! The one on the right was the flower photographed a couple of weeks ago. Despite subdued temperatures, it's swelling gradually. They're a narrow-fruited variety called 'Little Fingers'. The weather continues to disappoint, but I can't let it get me down too much. That's how it is here. I am getting weary of the reaction from people further south though - I don't envy their intense drought this year, but they keep commiserating with my forlorn tweets by trying to reassure me that it's not my fault things aren't going as well as I'd like, it's the weather's. Well, in a sense that's true, but not everyone has the same weather! Here in Scotland we did indeed have a hot, dry spell in May and June. But July turned back to normal conditions, and August has been dismal so far. So I can't take solace in there having been nothing I could do - nor do I get any comfort from other people's disasters. This is normal weather here, and I erred by trying some things - maybe the outdoor sweetcorn will be okay, but who knows, but half the fennel has bolted, and I was unwise to try growing it outside. There's a balance - cabbages, lettuce, kale, carrots, swede, spinach, brussels sprouts, leeks, parsnips, peas, maybe even runner beans will do fine in this. 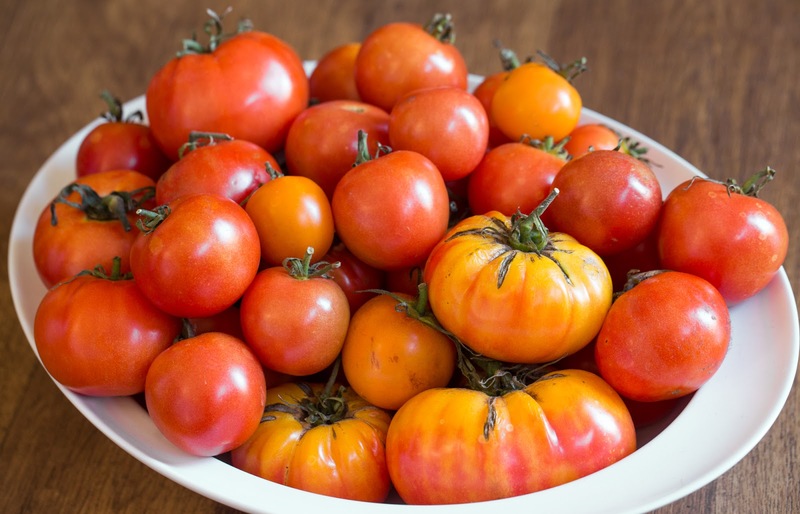 But tomatoes, aubergines, and peppers - even under glass - will not thrive, and winter squash, courgettes, French and shelling beans, and the aforementioned fennel and sweetcorn may not. Growing a range of crops is insurance as much as anything, and it is perhaps naive to imagine everything, or even most things, will thrive in a given year, but it is still sad to think I must wait another nine to twelve months for some of them. Mixed lettuces, from the third sowing, planted where beetroot was before (older lettuces at the top, and runner beans to the right). They're pretty, mostly oak-leaved varieties, and should be less bitter than some of the ones I've grown this year, especially the dark purple 'Bijou'. Returning to the subject of mushroom smells, I'll probably start growing my own again. I did it once before, in the winter of 2011/12, turning coffee grounds into a respectable batch of oyster mushrooms. I finally got a new espresso machine here, so I will have a ready supply of fodder for them, but also I want to try some others - button mushrooms on compost, "king stropharia" on woodchips, and shiitake and maybe chicken of the woods on a few spare firewood logs. I love that they can be grown on such disparate and otherwise not very useful materials - oysters will even grow on old books and magazines - and after you get a crop, the remains are even more amenable to composting. It's also a harvest in the cooler, wetter, darker months. The best winter squash has grown a bit, and is now resting on a small tile to keep it dry. In the meantime, some promising growth: the winter squash I shared a photograph of here recently continues to swell and darken. Some of the others may have aborted, but there are 8-10 scattered across the plants, so I may yet manage to get one or two through to harvest. There's a fresh flush of courgettes and summer squash, and the plants haven't yet succumbed to mildew as they usually do (the rain helps, I expect). The first aubergine (the flower was photographed here a couple of entries ago) is swelling and taking on colour. And despite my reservations, the sweetcorn have started producing male flowers - but no females yet that I can see. As we tip into the last half of August, what must be done? Other than more clearing, which feels like a neverending task, a lot of seeds can still be sown. Overwintering brassicas, more onions, salad leaves and oriental greens, that sort of thing. Some old crops will come out - peas are pretty much finished now - and I'll replace them with new ones, probably brassicas like cabbage or cauliflower. I must choose and order next year's tulips, I want some fruit bushes and trees to go in before winter, and then it'll be onion sets and garlic. It's time to abandon any unrealised plans for this summer, and concentrate on making the next growing season more successful. An iterative process, and hopefully I can improve the outcome. *These were harvested in late July and dried in the greenhouse, then trimmed and weighed. 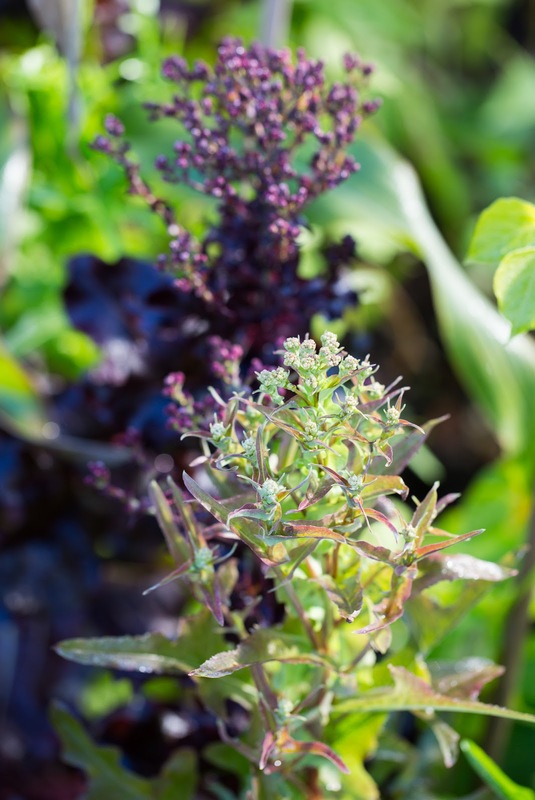 **I harvested the plants that had bolted before they flowered, they tasted good but hadn't bulked up. ***Including the first patty pans. 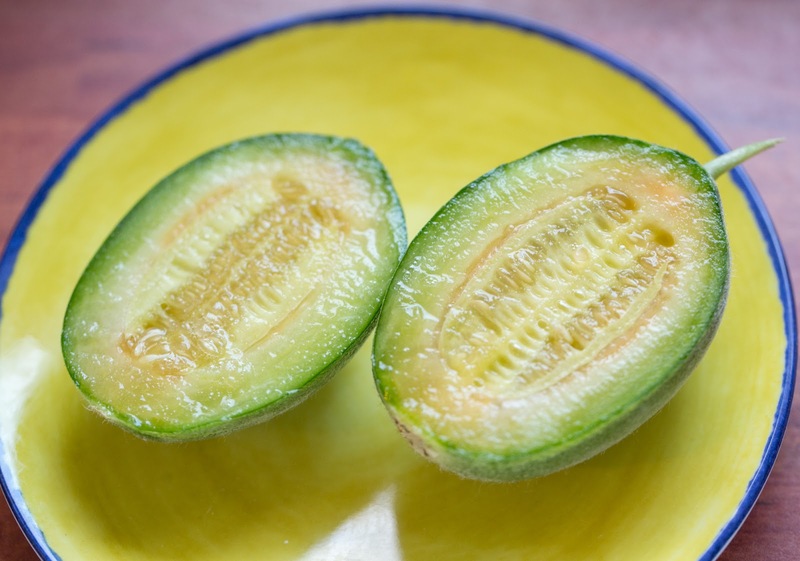 ****Too little to be added to the total, but notably the first ripe fruit off the plant I overwintered from last year. Current pickings, including the first tomato! Well, it's August somehow, summer is two thirds gone (by meteorological standards; even by astronomical reckoning we're nearly halfway). It's one of the oldest and most often-repeated clichés, but time is going so fast. Some might say too fast, and sometimes I feel that way, but in a garden, it's easy to be impatient. Balancing impatience is the anxiousness that one has not done everything necessary by this point, and if they can hold each other in check, it feels okay. The last week of July felt more like October. The temperatures plummeted, the clouds thickened, and we've had intermittant rain and lots of strong gusty winds. Not, sadly, enough rain to lay down stocks of water, but enough to keep everything outdoors happy, and to make many tasks unpleasant for a fair weather gardener like me. 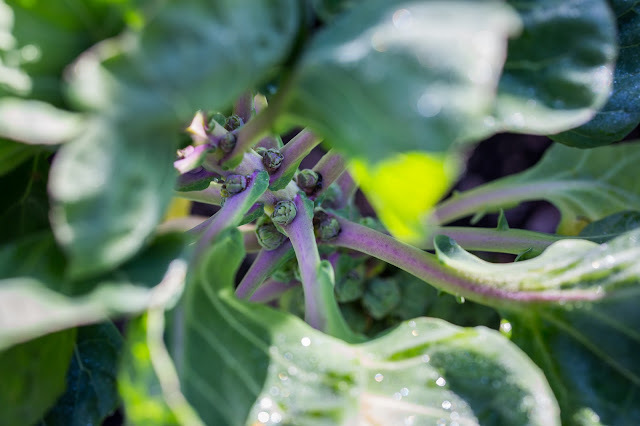 One plant that doesn't mind cooler temperatures is the Brussels sprout. The best plant is still in a pot, albeit a large one now. It's not been as ravaged by pests as most (though note the butterfly eggs upper left), and is growing strongly. Thank goodness for the greenhouse, and to a lesser extent the polytunnel. They feel mild, even warm on most days, and are dry, although the greenhouse is rather humid. I know good air flow is critical, but the plants in there are tender, and if I open it up too much, the temperature will be too low - mid teens is no good in the day, it needs to be twenty degrees at the very least. 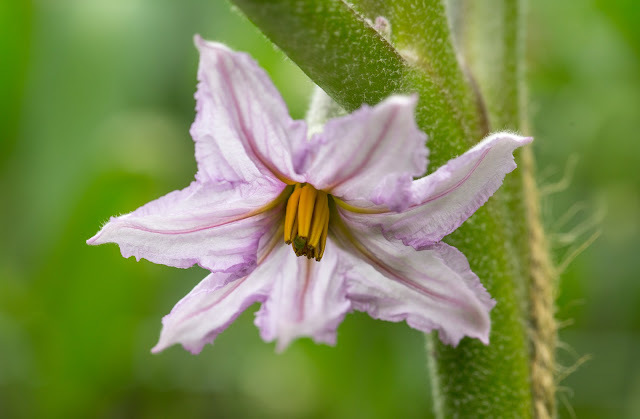 So it's probably too damp, the windows permanently covered in condensation, but some plants will be okay with that - aubergine flowers (of which there are now several open, and many more in bud) need misting, they say, but I don't think this will be necessary. I got stuck into the polytunnel too, it having hung over me and caused even more anxiety. I put a lot of semi-tender plants in there, in pots, ages ago - back in May, probably. But I haven't watered them enough, and the weeds have grown. The half I didn't clear in spring is shoulder-high with nettles and mint, and there are other unwelcome things like horsetail, coltsfoot, and chickweed popping up elsewhere. The no-dig approach has worked, though - the part I cleared, laid with cardboard and then manure has remained mostly clear, and it took no time to remove the few bad'uns that had come up from beneath. Next to no weeds have germinated, because their seeds are buried too deep, and the manure was essentially sterile. So after weeding and pulling out the previous crops - onions and garlic that are still clinging to life, but which have scarcely grown in months - I've added a surface layer of compost, and in has gone all those things that are far too late but might as well be planted anyway: winter squash, summer beans, sweetcorn, etc. 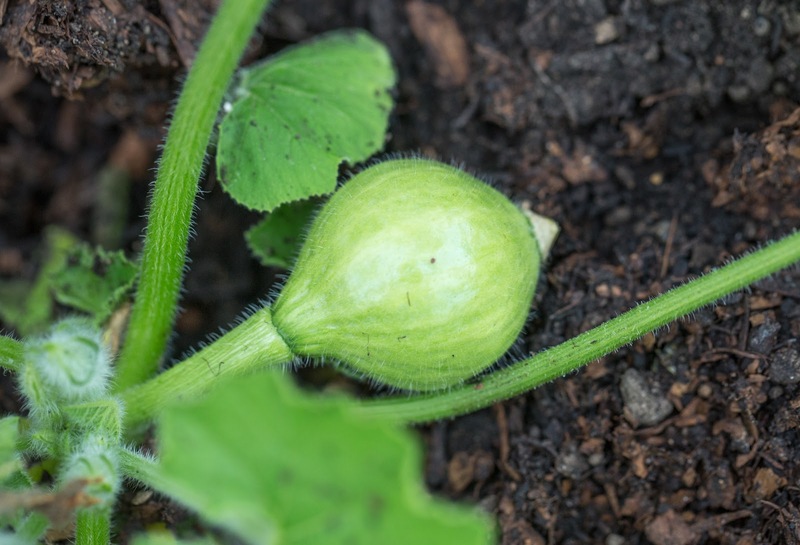 They're big plants, and indeed some fruit has set on the squash already, so perhaps there will be enough time. I reckon they've got about eight to ten weeks before it gets too cold, and conditions in there are benign enough to tough out normal summer weather. Well it hasn't warmed up much. The weather has been very mixed, rather typical summer fare for these parts - plenty of rain (though not generally prolonged spells), high humidity, not very high temperatures (rarely going above 20ºC). Most plants seem fine with it - some of the midsummer sowings like cauliflowers are racing away - and it's reduced the butterfly influx somewhat. On that subject, I applied the bacterial insecticide and await its effects - although with rain, it'll need regularly re-applying. After several days of this poor weather, with no harvests and an unexpected illness, some excitement: the first Brussels sprouts are forming on the 'Evesham Special' plants that went in the ground recently (see image below), and the first tomato has ripened. In the latter case, it was not 100% ready, but it had split all round, so needed picking. Others are starting to take on colour, and the plants are reaching the greenhouse eaves. Above: the most advanced winter squash were still in pots until recently, but they'd been in the polytunnel so probably benefited from the warmer conditions (and I had fed them); this 'Baby Blue Hubbard' is about an inch across, and now it's in the ground it has a chance to ripen before the end of autumn. If I can grow just one it will be a new achievement, and I will be content. In the polytunnel, more progress was made. It's now half cleared, amended, and planted, with sweetcorn, winter squash, dwarf runner beans, and huauzontle ('Aztec broccoli'). This last plant has been attacked by the beet leaf miners, despite being in a totally different plant family, so I'm hoping these will be unnoticed under cover (I had to rub off eggs from every leaf before planting, a little demoralising). More clearing and planting is to come: I'm shoving in everything semi-tender, like the remaining summer squash plants that haven't yet found a home, more winter squash, and any tomatoes that still look alive. If they do nothing, it's no loss. *This is the 2018 planting, that I pulled up two and a half weeks ago, now dry and trimmed. Note I wrote this a couple of weeks ago, but didn't publish as I wanted extra photos. It's a trying time again. A couple of months ago, slugs and snails were the bane of my garden, destroying plants, especially brassicas. Well they haven't been a problem for a while, although why is not clear. I moved the plants to a new spot, and frankly killed all the molluscs I could find, especially the big fat garden snails that seem greediest and most destructive. But also, it's been mostly very dry as all the news reports will tell you, so perhaps it's that. But now there's a new public enemy: butterflies. I love butterflies, although growing up as a gardener the white ones were always viewed with suspicion. And lo, they are here by the dozen, fluttering about and surreptitiously laying eggs on every brassica they see - apart, so far, from the main stand of kale. At first there was an egg here and there, but now every single plant has dozens, even small seedlings, and the red cabbages that at first seemed uninteresting to them are succumbing too. If they all hatch, the plants will be stripped of leaves in a couple of weeks and that'll be it for my dreams of cabbage, Brussels sprouts, more kale, cauliflowers, broccoli, swedes, and kohl rabi. That's far too big a chunk of my time and effort potentially wasted, so action must be taken. The foolproof way is netting the crops, which is to say, laying netting over a frame, be it canes or hoops, or sections of flexible pipe, so the butterflies can't physically reach the plants. But I am growing most in pots before finding somewhere for them, so there's no practical way to net them, and the ones I have planted are all in different beds and containers, so netting them all is impractical (although some will be done). However, someone reminded me of a treatment I read about earlier this year, based on bacteria that kill the developing caterpillars before they can do much harm, and although it's hard to get in the UK, I have found some for sale, so I will try that. I don't use chemical pesticides (although the distinction is a bit arbitrary), and this is safe to other wildlife and the wider environment, so it should be fine. It riles me that being a gardener naturally sets you against nature to some extent, but if I want heavy crops of food rather than caterpillars, then this must be done. As if to emphasise this message, I have been chasing blackbirds off the raspberries again. They've been landing and gorging while I was working nearby, utterly brazen, and they seem unwilling to fly off until I run at them hissing and waving. This is all energy I could be putting to better use, and to be honest, I'll be glad when the soft fruit season is over. Indeed, there aren't many butterflies in the colder months, so autumn is for once an appealing prospect. Incidentally, another pest has also been trying my patience, the beet leaf miner. I mentioned this before I think - basically it's a tiny fly whose larvae burrow into the leaves of beets (another major family of vegetables) and consume them from within, making leaf beet and chard unusable. I recently removed and disposed of every affected leaf I could find, but upon planting some spinach beet yesterday, I find tight clusters of tiny white eggs on every single leaf. I rubbed them off but it is another depressing thing. It's much harder to guard against, because netting is too coarse and lets the insects through - you can use fleece but that's rather unsightly and I'm not sure it would be practical. So I must now check every plant thoroughly, regularly, and it's another pain. Hopefully regular harvesting will help, but I'm starting to wonder why anyone bothers trying to grow produce, especially organically. It's all very well talking about encouraging natural predators, but some pests don't seem to have any, or at least by the time the predators or parasitoids arrive, you've already lost a crop of healthy plants. 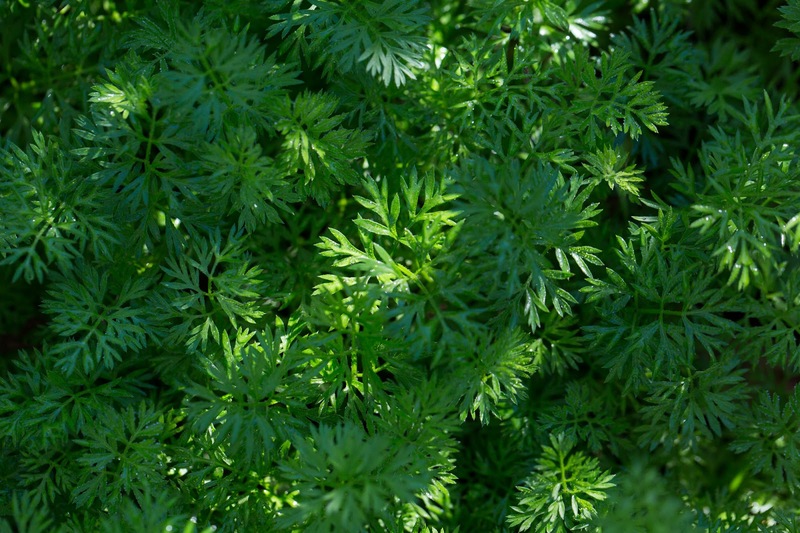 Above: the parsnips that germinated first are huge, with leaves a metre long, and they are growing strongly at the base. Below: lots of purple vegetables! 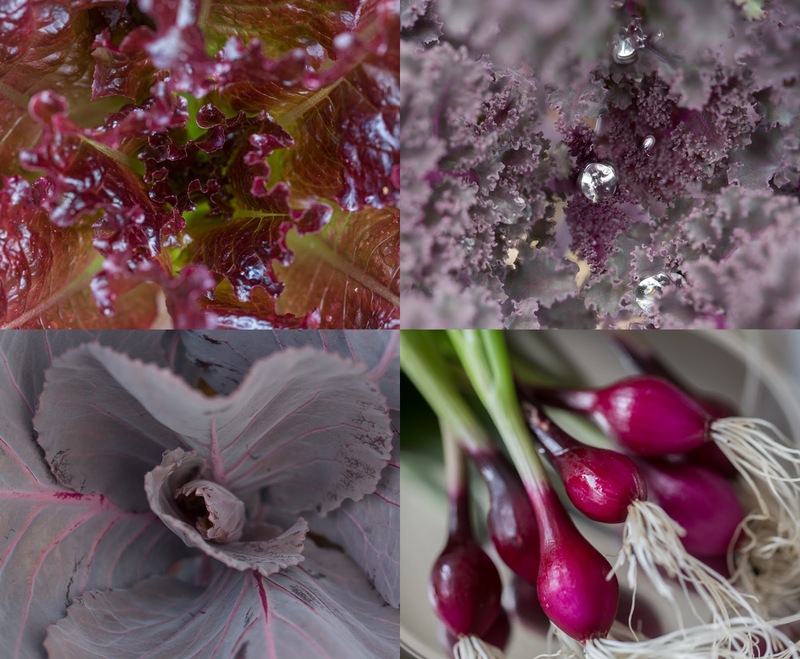 Clockwise from top left: lettuce 'Bijou', kale, probably 'Scarlet', spring onion 'Lilia', red cabbage. So what of hope? Well some crops are managing fine. The courgettes are growing, albeit slowly, and producing a few smallish fruits here and there, but no glut. 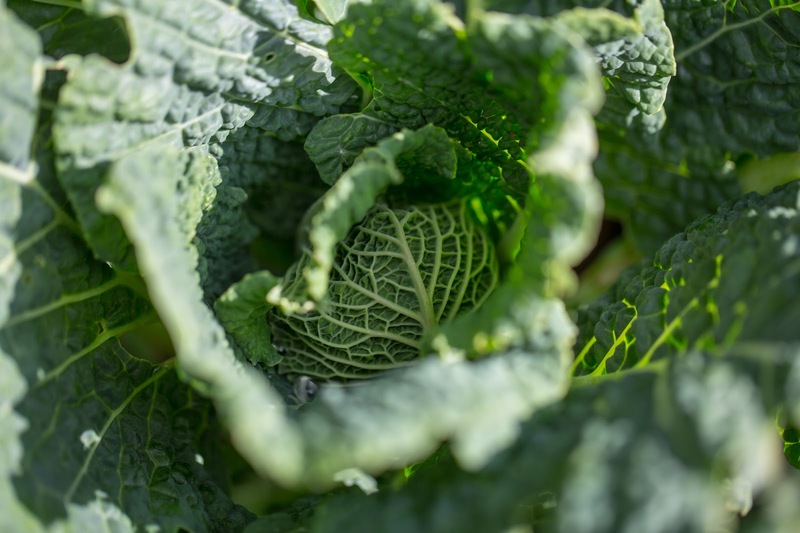 The kale (curly kale of two varieties, 'Scarlet' and 'Redbor', neither of which is really red in most cases) is healthy, largely untouched by pests (save a few eggs on plants in a container), and cropping quite heavily. Sweetcorn, fennel, and peas are all fine, and all the greenhouse vegetables seem very happy. Borlotti beans I sowed amongst the corn are now the same height as it, and growing strongly. Parsnips are enormous - above ground at least, three feet tall and producing lots of foliage, with more germinating as time goes on (it's been very erratic in that regard). 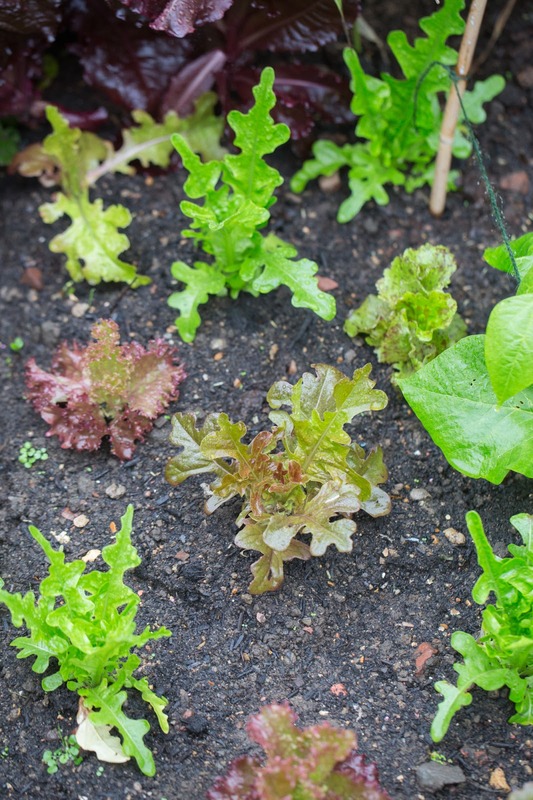 Lettuces are untroubled, except for the variety 'Yugoslavian Red' (again not really red, but pink), which although very pretty, has all bolted, even the third sowing. Maybe it's best left to the colder months. Some ornamentals are also doing fine, a batch of rooted dahlia cuttings that were delivered in June are already big plants, some flowering freely. At this point I must accept that, as I knew back at the start of the season, not everything can be a success, and the more you grow, the more will fail, and the more problems you will encounter. But I may well manage to grow more crops - in terms of sheer weight, and certainly variety - than I've ever done before, so I can't let it get too upsetting. 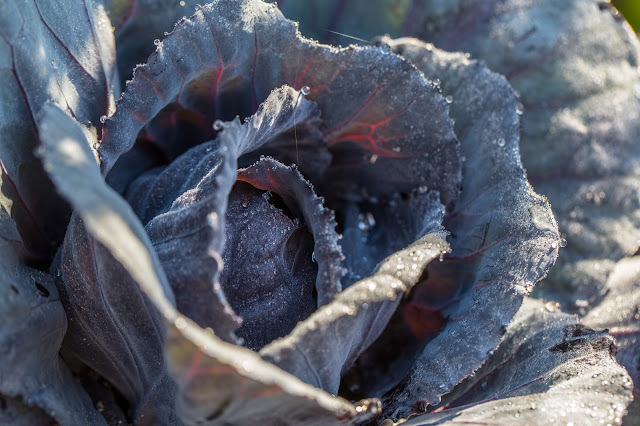 Besides, in a few months, the insects will be gone, and the winter veg - including many of the cabbages curently in peril - will be swollen and sustaining. The first aubergine flower has fully opened. This is 'Little Fingers', which has small, narrow fruits, but the flower is big! Amazingly, I checked and this was sown late April, but the plant is nearly chest high now - it must be happy in the greenhouse! ****I'm starting to think some of what I planted as spinach beet is in fact white-stemmed chard, but they're very similar, and I can't be sure, so I'm counting them as this.